...But in the interests of that "fair and balanced" codswallop, let's hear it from Epona's mouth. Here's what was actually said during the E3 Breath of the Wild Nintendo Treehouse live stream. D'ja get all that? Well let me boil it down for you. It's pretentious, arty-farty nonsense; a reductive mentality that says that somehow the less you put in, the more the player will get out. It didn't work for Paper Mario: Sticker Star with regards to story and characters, and it won't fly here. Why does having non-linear exploration mean you can't use conventional background music? How does stripping it out tailor the experience any more uniquely to each individual? And I mean, come on, “the aural experience”? Seriously, there are a couple of main points from that I want to tackle in this article: the overall silliness of this decision compared with previous games in the series, and what I interpret as the idea that somehow music can be immersion-breaking. I should also add that I don't want to jump to conclusions and say definitively there'll be no overworld background music at all. We won't know for certain until the game is released, so I'm prepared to give the benefit of the doubt for fear of getting the wrong end of the Deku stick. Maybe this musical dearth only applies to the Hyrule Plateau area that was shown and not the rest of the overworld. Or maybe the music was, erm... accidentally disabled for the E3 demonstrations in the same way the demo time limit wasn't the first time they played it. Or maybe the reason the composer's identity has not yet been officially revealed is because at first Nintendo hired serial plagiariser Kenji Yamamoto (probably under a false name). They then realised their grave mistake and expunged his score from the game, but didn't have time to come up with new music for the overworld! ...Okay, yes, I'm grasping at straws, but I can do nothing else. It's honestly that ridiculous of a situation (again, if true) that I'm trying to come up with something, ANYTHING that could rationalise it away. So with that disclaimer duly noted, I will proceed on the basis that this "no music" situation is in fact the case. 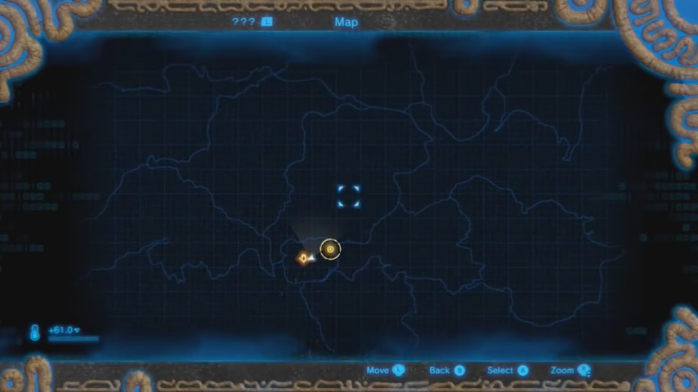 In fact, the official trailer for Breath of the Wild appears to demonstrate this very thing in action for about the first eighty seconds. Environmental noises accented by brief piano accompaniment. When the real music kicks in, you can see immediately the difference it makes. Don't get me wrong, the piano bits are better than nothing... but "better than nothing" is what Keiji Inafune said about his crowd-funded disasterpiece Mighty No. 9! And speaking of legendary video game creators who fell from grace, is there any chance this is Shigeru Miyamoto's doing? Really, I want to know. Just like how he went to Intelligent Systems and said, "does Paper Mario really need a story and characters?" did he go to the unnamed composer and say, "does The Legend of Zelda really need background music"? If so, the only appropriate response would've been for the composer to slap him in the face and tell him to shut up. In contrast to this lunacy, let's look back for a second at Hyrule Field's theme from Twilight Princess. This theme says to me “This is where your adventure really begins, and you're going to do great!” Its initial trumpet flourish gets you off to a flying start and makes you want to tackle head-on what the world has to offer, while the continuous drum beat spurs you onward. One thing music has never been in the Legend of Zelda series is "minimalist". When people think of The Legend of Zelda music, I like to imagine they think of something apart from most other video game music. Something in a league of its own, almost. Many of its most recognisable themes are familiar enough in video game culture that even people who've never played a Legend of Zelda game before know them, explaining why numerous themes like the Song of Storms get dubstep remixes that attract tens of millions of views. Music even plays a critical role in the games themselves, often revolving around the power of magic songs and instruments. The series' music is so great it even spawned its own five-year concert tour. With that kind of pedigree it begs the question, why would you downplay it so much here? At KoopaTV, we're strong believers in the role music plays in video games. It is the lifeblood running through the experience, carrying emotional weight and even contributing towards characterisation. Not every song's a hit, and some may utilise overused elements, but music is of paramount importance. It can even elevate the aforementioned Paper Mario: Sticker Star to the level of only mostly awful. That video above showcases what you can do when you have a familiar catalogue of beloved music tracks associated with your series, especially when those themes are actually used appropriately, and not forgot about. The original game's soundtrack was groundbreaking for its time, as was A Link to the Past's for the 16-bit era. The Legend of Zelda series showed how great video game music could truly be in a time when the idea that video game music was "real" music at all hadn't fully caught on yet. Majora's Mask went in a new direction with its haunting, dirge-like melodies. The Wind Waker had rousing ballads. Breath of the Wild has... environmental sounds. That's not even all of it! Imagine if that were the case going across Hyrule Field or the Great Sea with their themes replaced by "environmental sounds". That would've made sailing in The Wind Waker even more tedious! Which leads me to believe that once you know the lay of the land in Breath of the Wild's overworld and all exploration has ceased, the lack of music could make the journey incredibly dull. Now, to get to this second point, I don't like the insinuation, deliberate or unintentional, that having music is somehow immersion-breaking. Quite the reverse in my opinion. Even Nintendo's official video showing off their Legend of Zelda-themed E3 booth (which was pretty rad by the way) is promoted as being an "immersive" experience, and they actually have some of the music from the trailer playing while showing it off. This seems to be an acknowledgement that immersive experiences and meaningful background music are not mutually exclusive. So where've we gone wrong here? To help demonstrate my point, I'd like to request you watch the following scene from one of my favourite films, the 1986 Transformers animated movie (I'm not in it unfortunately). Here, the planet-eater Unicron converses with Megatron, glorious leader of the Decepticons, and reformats him and some of his minions into new forms. Now, if I could beg your indulgence further, I'd like you to watch the same scene again, only this time with the music it was intended to have. Notice how much more impact that had? Vince DiCola's score captures the foreboding sense of implacable, mechanical doom that Unicron represents. Then when the reformatting begins, the music accurately conveys that this is a dramatic turning point in the Transformers series, since it was the last viewers would see of these six characters, three of which had been present since the beginning. The music reflects the mood of the scene. At times like this, events and character dialogue can slip into the background (where you'd normally expect to find the music) as the music itself starts taking centre stage and tells you what's really going on. It's telling you how to feel, whether you realise it or not, which is why even someone who knows nothing about Transformers (like I imagine most of the parents who took their kids to this in 1986) can still comprehend the scene and its relevance instead of having all that context-less dialogue go over their heads, because the music's telling them what's really happening. I realise films and video games are not the same thing, but I'd argue that the point I'm making here is even more relevant to video games since immersion is much more intrinsic to the medium. For me, music is atmosphere. It can infuse a locale with a distinctive feel. When you think back to it, if done well, its theme music should immediately start playing in your head without prompting. A lack or complete absence of music can also be used atmospherically, for example to be conspicuous by its absence, and therefore add tension and suspense, but this should be the exception and not the rule. Compare this to another open-world game, The Elder Scrolls V: Skyrim, which I was playing a lot of at the start of the year. Very large world to explore, yet when you're out in the wilderness, it doesn't shirk on music. I recall especially a poignant moment shortly after I first started playing. I was walking down a mountain trail towards the first town in the middle of the night. I looked up at the skybox festooned with stars and thought how beautiful it all was. Then, just as the music swelled, a moth fluttered down in front of me, briefly silhouetted against the full moon, and landed on a signpost. Seeing this left me genuinely, emotionally moved. (like noticing an aurora over your house) mean something special to people. Now you may be saying, "is that really that impressive?" And the answer is probably not. True that the novelty of this sort of thing eventually wore off, but considering Skyrim was my first open-world game, it was all very new to me, and it's still one of my most memorable moments from the game. But without the music to punctuate what I was seeing, I'd've probably looked up at the skybox and thought "Hm, that's nice". At the moth I would've gone, "Oh, that's cool". I likely would've harvested its wings too as I've done with countless others of its kind, but I let the thing be because it, aided by the music, made an impression on me. Not that the music that plays in Skyrim when you're exploring is analogous to something like the Hyrule Field theme. 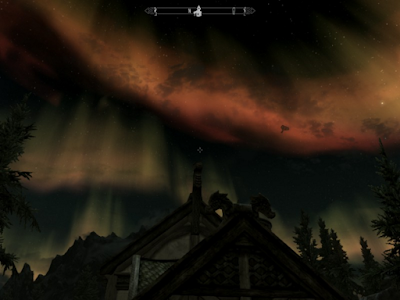 Skyrim's "atmospheres", as the themes are called, are more ambient and, well, more atmospheric than a traditional game score. They lose a good deal of their appeal divorced from the environments they were designed to complement — but at least they EXIST. There is actually music present to draw you in so that "environmental sounds" and the occasional battle theme kicking in aren't the only things you have to listen to. 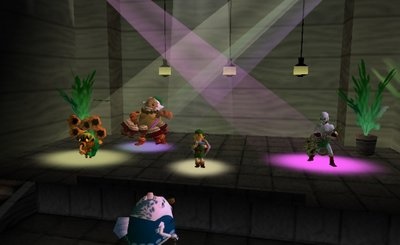 Music is so integral to Zelda games that Link split himself into four just to rock out! 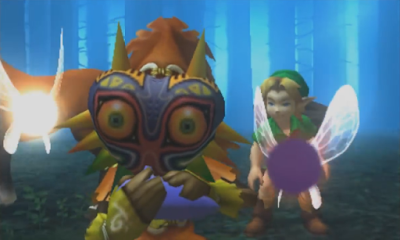 And this was years before Four Swords! Vortexica is probably the most pro-Zelda of KoopaTV's staff, as you may have gleaned when he wrote about Majora's Mask 3D last year, but on this topic he speaks with the voice of the entire staff. After his snooze-fest Brexit article, Vortexica wanted to make up for it by actually writing about video games. Why not follow him on Miiverse at Vortexica, and/or Twitter @Vortexica? Who knows, he might even POST something! Speaking of posting, feel free to add your voice to the choir in the comments below! Music is so important to this franchise, and everything about the Symphony of the Goddesses concert attests to that. Vortexica attended it! It's also toxic to make music and gaming into... the same kind of entertainment? Personally, I'm fairly impressed people were able to catch that in normal-speed. I wish I had that auratory ability.